Jepsen is a former engineering executive at Facebook, Oculus, Google[x] (now called X) and Intel. She's also been a professor at MIT and is an inventor on over 100 patents. And that's the abbreviated version of her resume. Jepsen left Facebook to found Openwater in 2016. The San Francisco-based start-up is currently building technology to make medical imaging less expensive. So what does that hat have to do with telepathy? Current M.R.I. technology can already see your thoughts: "If I threw [you] into an M.R.I. machine right now ... I can tell you what words you're about to say, what images are in your head. I can tell you what music you're thinking of," says Jepsen. "That's today, and I'm talking about just shrinking that down." One day Jepsen's tech hat could "literally be a thinking cap," she says. Jepsen says the goal is for the technology to be able to both read and to output your own thoughts, as well as read the thoughts of others. In iconic Google vocabulary, "the really big moonshot idea here is communication with thought — with telepathy," says Jepsen. Traditional M.R.I., or magnetic resonance imaging, uses magnetic fields and radio waves to take images of internal organs. Openwater's technology instead looks at the flow of oxygen in a person's body illuminated with benign, infrared light, which will make it more compact and cheaper. "Our bodies are translucent to that light. The light can get into your head," says Jepsen, in an interview with Kara Swisher of Recode. If Jepsen is right and one day ideas will be instantly shared or digitized, that would significantly speed up the process of creating, learning and communicating. Today, it takes time to share an idea, whether by talking about it or writing it down. But telepathy would make all of that instantaneous. "Right now our output is basically moving our jaws and our tongues or typing [with] our fingers. We're ... limited to this very low output rate from our brains, and what if we could up that through telepathy?" asks Jepsen. Instant transfer of thoughts would also speed up the innovation process. Imagine being a filmmaker or a writer and being able to download the dream you had last night. Or, she suggests, what if all you had to do was think of an idea for a new product, download your thought and then send the digital version of your thought to a 3-D printer? "That makes our iteration cycle so much faster," says Jepsen. Jepsen is not the only one dreaming of communication by thought. Earlier this year, Elon Musk launched Neuralink, a company aiming to merge our brains with computing power, though with a different approach. "Elon Musk is talking about silicon nanoparticles pulsing through our veins to make us sort of semi-cyborg computers," says Jepsen. But why not take a noninvasive approach? "I've been working and trying to think and invent a way to do this for a number of years and finally happened upon it and left Facebook to do it." Talk of telepathy cannot happen without imagining the ethical implications. If wearing a hat would make it possible to read thoughts, then: "Can the police make you wear such a hat? Can the military make you wear such a hat? Can your parents make you wear such a hat?" asks Jepsen. 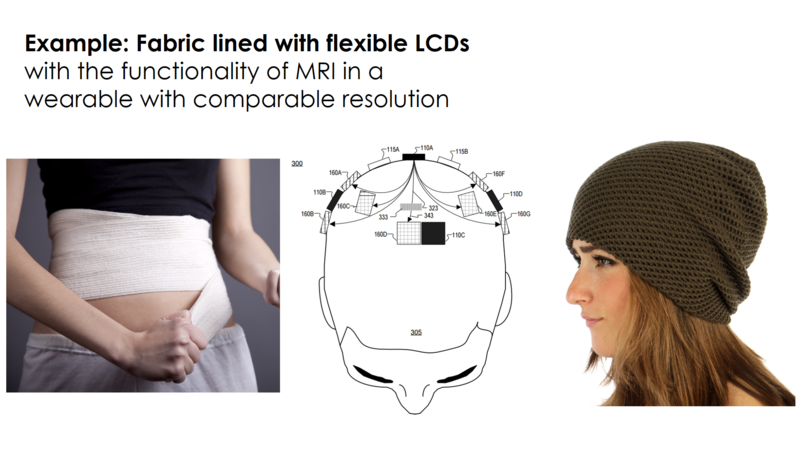 What if your boss wanted you to wear a telepathy hat at the office? "We have to answer these questions, so we're trying to make the hat only work if the individual wants it to work, and then filtering out parts that the person wearing it doesn't feel it's appropriate to share."